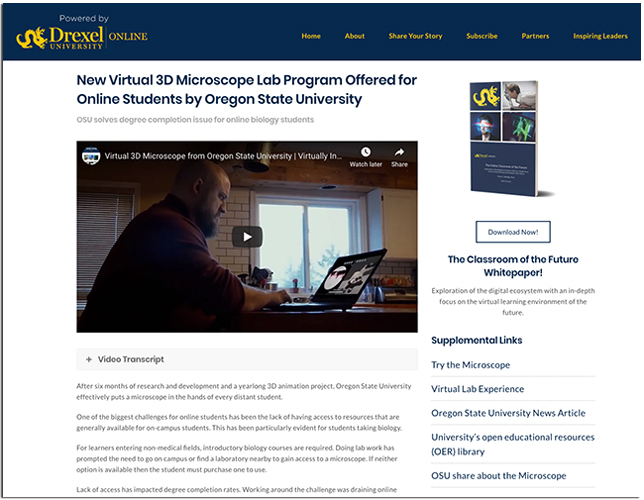 Drexel University created an open source website to showcase leading technologies, practices and research in virtual education. At Drexel University, a long-standing culture of community leadership has often benefitted surrounding or related communities with new or better access to digital technology advancements. 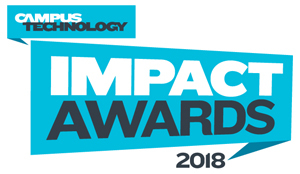 One exemplary initiative, back in the early 2000s, brought enhanced IT services to more than 50 institutional partners via an ASP model — a strategy that received a Campus Technology Innovators award in 2006. 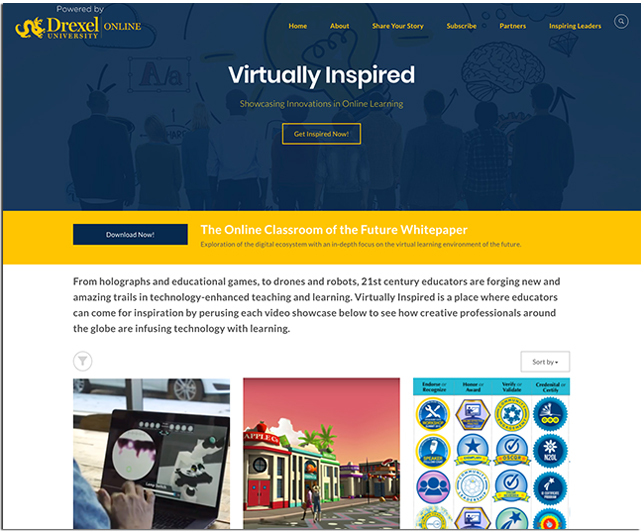 Now in 2018, we are recognizing Drexel University Online (DUO) for "Virtually Inspired," a project designed to reach out to the education community worldwide, with resources and examples to help institutions integrate digital technologies into their online and blended learning programs. It all began a little more than three years ago, when DUO leadership noticed that the education community as a whole was still struggling to remain ahead of the learning curve when it came to providing effective access to high-quality online and blended education — especially given the ever-increasing numbers of tools and applications in today's technology-driven environment. So, DUO looked carefully at the surrounding landscape. 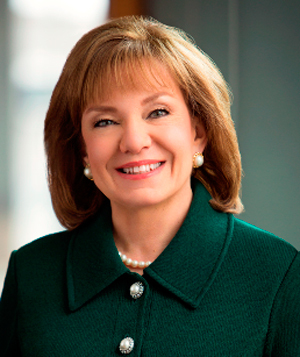 "We saw a widening divide between the academic content delivery methods of educators and student expectations," explained project co-lead Susan C. Aldridge, senior vice president for online learning at Drexel University and president of Drexel University Online. "It was clear to us what was needed: easily accessible and consumable information around inventive and replicable strategies for institutions interested in closing that gap." DUO began researching the problem intensively in May 2015, determined to find a way to offer practical as well as insightful help to the education community. 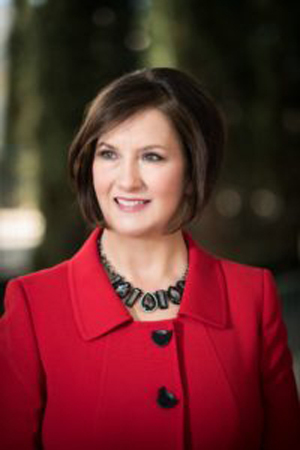 Project co-lead Marci Powell, CEO/president of Marci Powell & Associates and USDLA chair emerita and past president, leads the research for Virtually Inspired. Research for the ambitious, ongoing project initially included many dozens of interviews with faculty, administrators and professional development trainers to define problems and recommend solutions. And after investigating literally hundreds of innovative approaches, DUO selected just over 100 case studies that could help institutions identify their goals and their own steps forward. In June 2016 DUO launched its Virtually Inspired website, which provides new video case studies and supporting content on a regular schedule, covering topics like technology-enhanced education, augmented reality, virtual reality, artificial intelligence, robotics, gamification, simulation, virtual worlds and more. This open, evolving repository features a rich array of best practices for connected learning, along with project descriptions, videos and other useful supplemental links. Virtually Inspired's online case studies include in-depth project descriptions, video resources, supplemental links, images and more. Virtually Inspired uses relatively common technologies to convey uncommon ideas about the more sophisticated tools and programs that will become the keys to success for institutions as they form their plans. The technologies used to create, and probably more importantly, to update Virtually Inspired, include the suite of tools from Adobe (for flexible and flawless video and graphic production tools), plus WordPress (for simple but robust content creation), GoDaddy (for web hosting at a reasonable cost), MailChimp (a free tool for campaign marketing and management) and Seer Interactive (to optimize Virtually Inspired in line with the DUO Web site). As the name suggests, Virtually Inspired offers anything but the dry, unapproachable ideas that may have been impeding institutions' progress in the first place. Video interviews and guest blogs allow pioneers, trendsetters and visionaries to share their ideas and passions, thought-provoking concepts and useful tips that can help institutions get on the right track. It's important to note that, very surprisingly, there was no previously existing education resource attempting to serve as a "go to" repository of information on connected learning. Of course, numerous individually published works exist, along with conference proceedings, but there has never been an open hub for continuously updated information — based on academic research — on tools, strategies, case examples and best practices in this realm. Besides the challenge of updating the site with the latest research information, DUO is engaging in partnerships (such as with the Online Learning Consortium, the International Council for Open and Distance Education and the University Professional Continuing Education Association) that will not only increase dissemination of this valuable resource, but also build up the participation of experts in the site and widen the range and rigor of the academic research that is so crucial to Virtually Inspired.